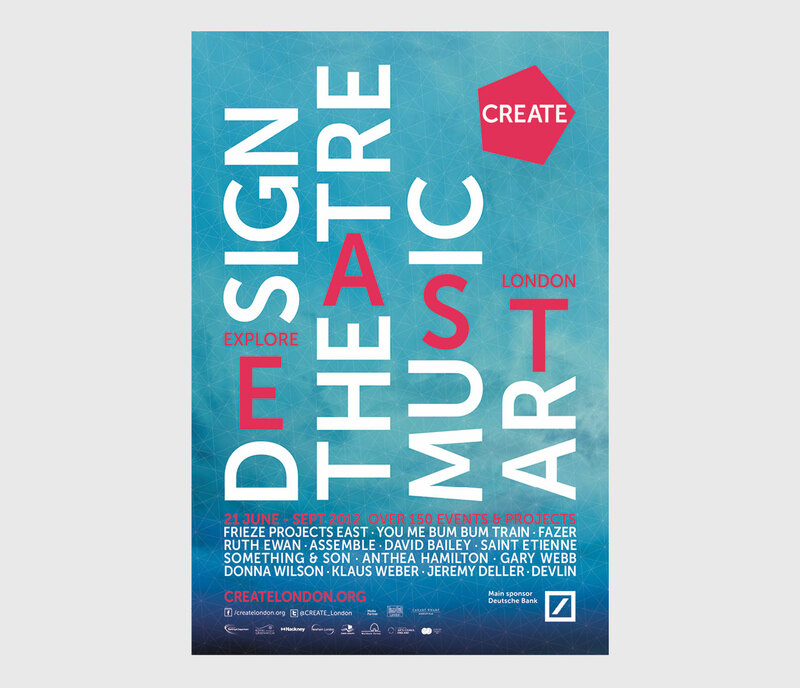 For the final year we created a bold, playful, typographic design that wove together the words “Design”, “Theatre”, “Music” and “Art” with a call to “Explore East London”. 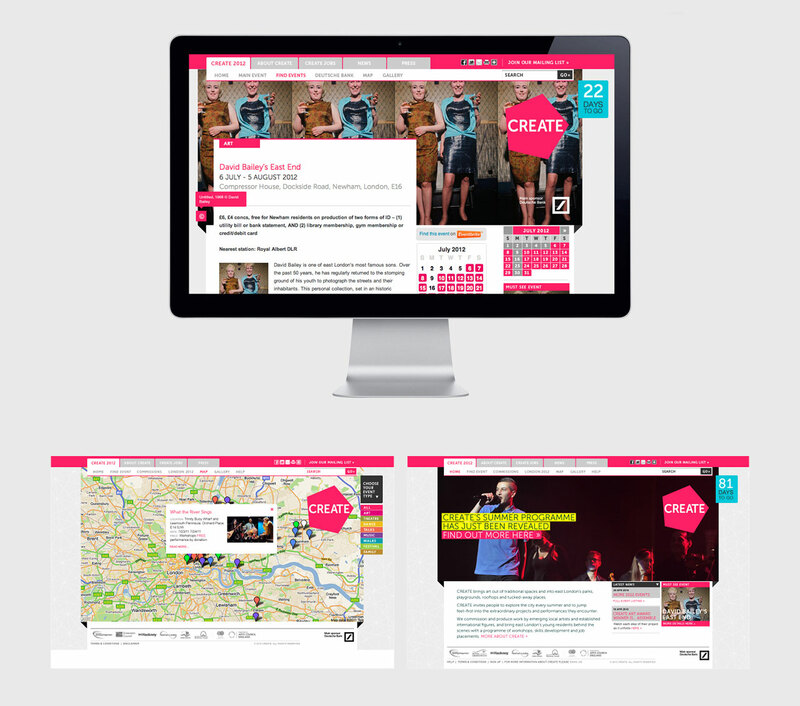 A gridded background was also introduced based upon the logo shape, The feeling of the grid gave the idea of connecting to people and community. 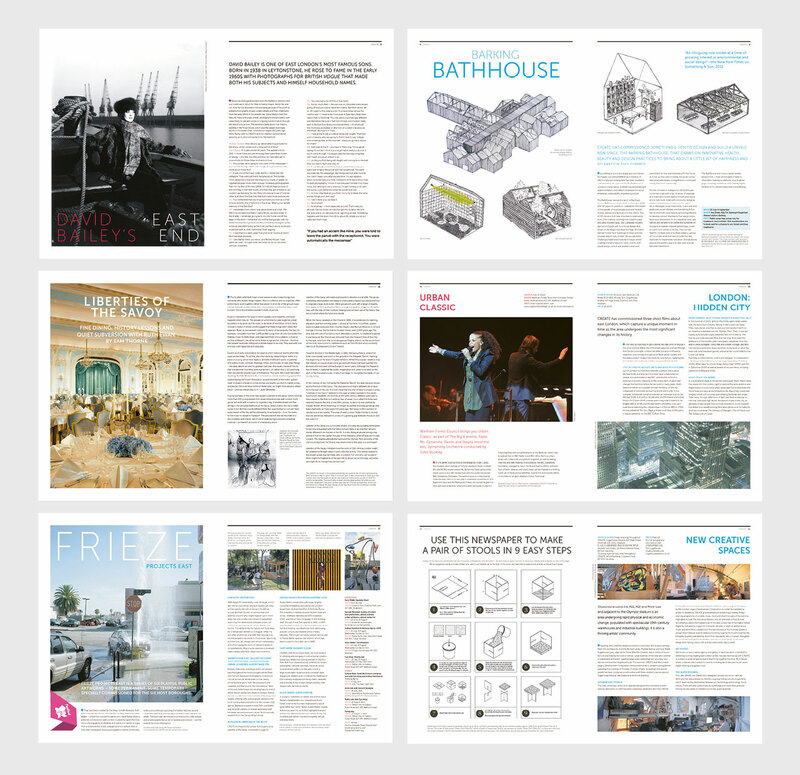 For the final year we created one large newspaper, that feature David bailey image on the cover. They were distributed across east London during before and during the festival, containing the listing of events and features, the newpaper acted as the programme. 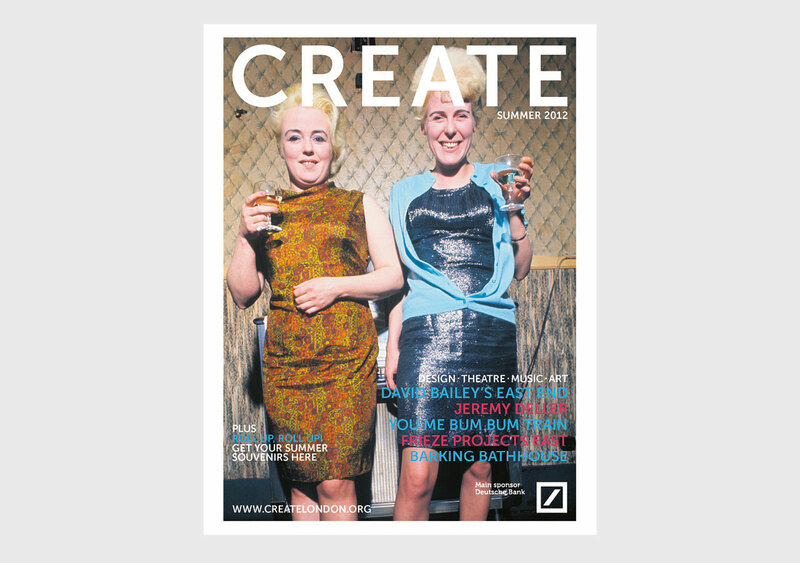 Above: Create newspaper cover image from David Bailey and selected inside spreads.